12/18/17 is Quickly Approaching. Are You ELD Prepared? December 18th, the day the ELD (Electronic Logging Device) Mandate goes into effect, is right around the corner. The Federal Motor Carrier Safety Administration (FMCSA) issued technical specifications and certification standards for ELD manufacturers, but there’s no official vetting of manufacturers for carriers nor guidance on how to make the best choice of a compliance solution. Since the mandate will impact an estimated 1.8 to 2 million vehicles, there is great interest on the part of opportunistic and inexperienced entrepreneurs as well as for the more established industry providers. But the ELD Mandate also creates opportunities for carriers, whether they’re moving from paper records or already utilizing e-log technology in their fleets, as the more established providers offer more than just compliance for their ELD solutions, but applications that also reduce paperwork, improve safety, and increase the bottom line. There’s an ELD solution for every fleet size, ranging from BYOD (Bring Your Own Device) apps managed from a tablet or smartphone to fully-integrated telematic solutions providing information that can be used for fuel management, vehicle inspections, dispatching, back office support, shippers and even payroll. On the low-cost end are companies that claim to make a vehicle compliant for ‘free’, or as low as a flat $200 investment in hardware with no additional costs. However, a closer look at their websites reveals little about details of the solution, the companies, and who runs them. More importantly, try finding ELD support information that goes beyond a FAQ page, or contact information other than a generic email address. This inexpensive option to comply may work for some carriers -- maybe not. But the risks of non-compliance areis high and the experience of these providers is low. The great value of these solutions evaporates as a driver loses 10 hours on an Out of Service because the no- or low- cost solution didn’t deliver. At the opposite end are integrated telematics that can deliver more information than a company currently needs. To help carriers make more informed decisions regarding their choice of ELD, two of TMW’s strategic partners provided their thoughts on this critical situation. Tom Cuthbertson, VP, Regulatory Compliance, Omnitracs and Eric Witty, VP, Product Management, PeopleNet share information on how to prioritize and what additional features can be added to maximize your return on investment. Omnitracs’ Cuthbertson says, “Make sure the device is compliant to FMCSA regulations. The [ELD] supplier has to provide a number of documents required to support and register their product: driver cards for driver training, a user manual, photographs of the product, release numbers for software products, documentation for malfunctions and to illustrate how the device was tested to meet compliance.” He noted due diligence is important here because this information is provided from the supplier, not the FMCSA. Cuthbertson also indicated that carriers should take extra precautions when considering buying an ELD from a supplier without a track record in the industry, because of the significant amount of technical specifications in the regulations. These include confirming the supplier is using the specified security measures, including providing the correct enforcement of E-rods to ensure proper transfer of information to enforcement; that the ELD ensures drivers can control edits and make annotations; and that access to logs and interactions between drivers and the back-office function correctly. While the time to install an ELD on a vehicle ranges from only 15 to 45 minutes, Cuthbertson and Witty also agreed carriers shouldn’t wait for the last minute to make a decision. “As you move beyond that - getting the equipment, doing the installations, training people -- is a significant process, even if you’re just doing ELD, and it scales depending on the carrier’s size. If they have no technology at all they should be planning now. If they already have some technology it will vary by product and vendor. Low-end, self-serve models that are phone-based could be running in days,” Witty added. Understanding how key components of ELDs function can alleviate problems for carriers, especially how the product handles unassigned vehicle moves. Look for one that includes secure access for drivers and passwords for administrators -- drivers aren’t the only ones getting behind the wheel and carriers won’t want to waste a lot of time on reconciliation or having exempt drivers impact the vehicle’s available time. Take the time to set up categories of exempt drivers accurately (road test mechanics, fuel dock, positioners, etc.) and bear in mind the differences in rules between short- and long-haul drivers. Another basic that should be considered is how edits and annotations could increase clerical workload, at least for a while, so carriers should look for a system that can be streamlined. Additionally, Vehicle Inspection Reports (VIRs) are also required in the U.S. if a driver has defects (in Canada, they are required either way) and can be done electronically. Paper can still be used, but that paper needs to be managed for 90 days. A system incorporating VIRs into an ELD will be a big benefit for the driver, whether the fleet is large or small. Beyond the basic considerations for complying with the mandate, Witty and Cuthbertson also agreed this is the right moment to consider adding features that provide impactful benefits like fuel management, maintenance tracking, and data to be used by back offices and shippers. There aren’t any one-size-fits-all solutions, so here is where talking with people with longtime industry experience pays off. At Omnitracs, Cuthbertson said, “When I counsel people I ask them ‘what’s your worst problem? Are you getting 5.2 miles per gallon instead of seven? Then you might want a system to help you with fuel management,” which would also factor in the age of the fleet and the terrain in which the fleet operates. When looking at the right ELD choice for your fleet, consider how electronics can also manage functions like fuel management, electronic vehicle inspection, driver behavior management, idling, and speeding. Integration with a TMS would be another plus, enabling transmission of hours of service information to be used by dispatch. Electronically tying all this data together using a telematics solution can provide your fleet with a streamlined system that even extends to dispatch and payroll. 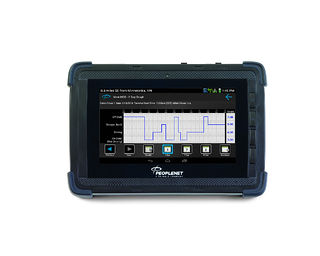 For more information on ELDs, visit Omnitracs and PeopleNet.